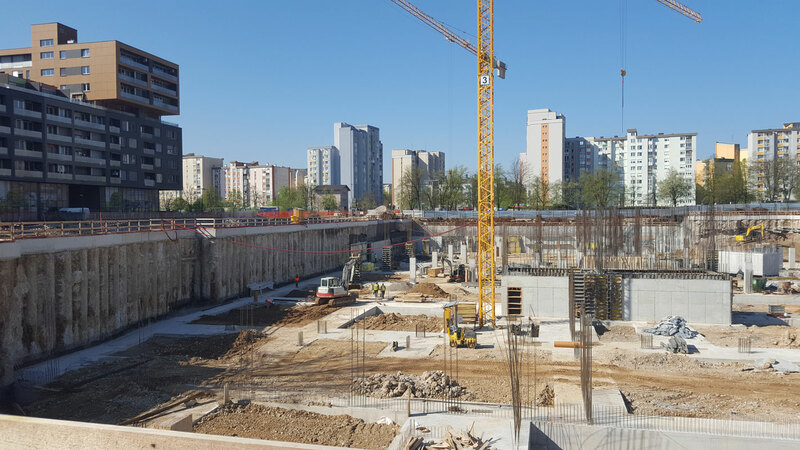 The Shopping Centre Šiška is being erected at the intersection of Celovška and Rakuševa streets and will be dedicated to commercial activities with belonging programmes, such as sports activities, restaurants. 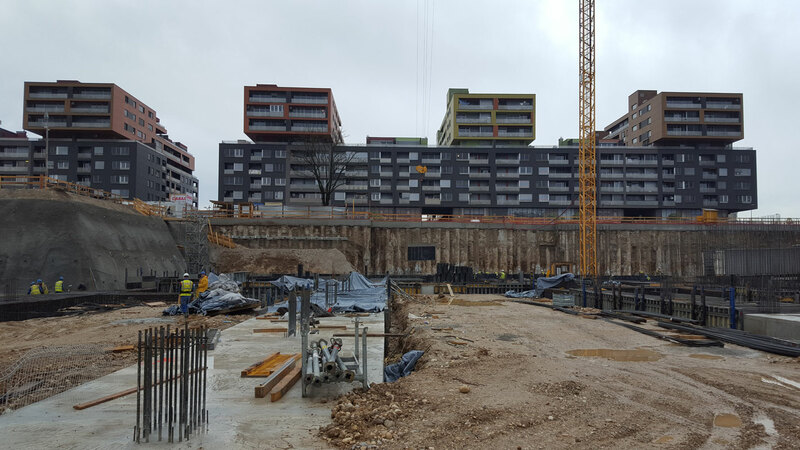 The new building has two basements, a ground floor and two storeys and reaches 18,0 m above ground. Maximum ground plan dimensions of the building are approx. 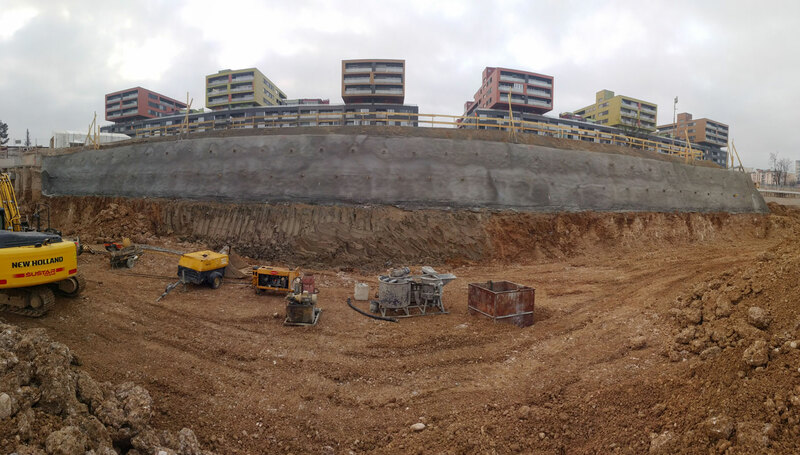 243 m x 149 m. The building consists of three units separated from each other by adequate dilatations. The carrying structure of the shopping centre is a monolith reinforced-concrete structure with a mixed construction system formed by walls and columns. 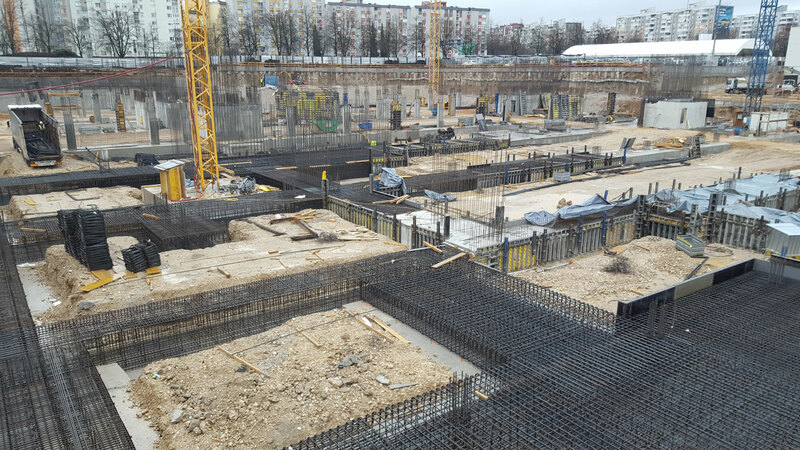 Walls are arranged circumferentially in the basement and in reinforced-concrete cores, reinforced-concrete columns extend from the footings to the slab above the first floor and to the steel roof above the second floor. The steel roof is designed as an arched steel structure consisting of box profiles supported by reinforced-concrete columns and communication cores. One part of the steel roof is designed as a classic steel structure consisting of hot rolled I profiles in one level, which are supported by reinforced-concrete columns and communication cores. The facade system consists of metal panels with a mineral wool filling on a steel substructure, while the outer layer is a walling of aluminium panels. Project typeCommercial buildingLocationLjubljana, SloveniaArea102,773 m²Inv. value€80,000,000.00 Year(s)2017– ServicesBuilding permit design, execution designArchitectureATP Innsbruck Planungs GmbHInvestorNEPRA d.o.o.